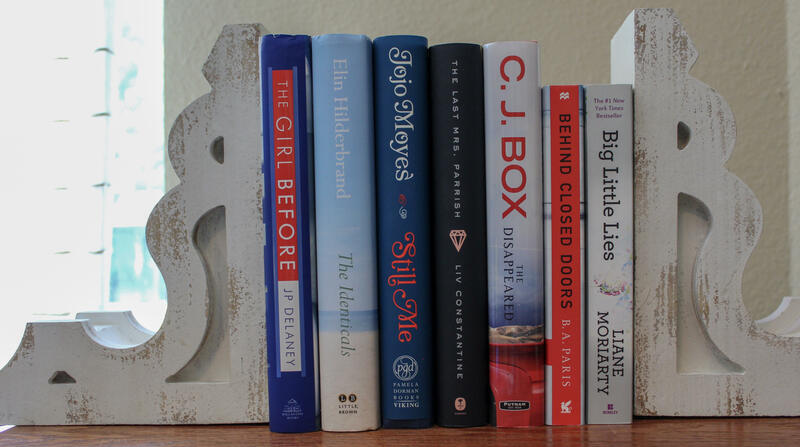 I’m a complete book worm and LOVE finding a new good read so please share with me if you find something you love too! These are a few favs that I’ve read over the past 6 months and a little info about each one – no spoilers thou, I promise!!! The Girl Before is about a couple who moves into a unique apartment with a strangely rigorous selection process for it’s tenants. After they move in they start to realize more and more unsettling facts about the history of the building and about the architect who built it, who is also their land lord. 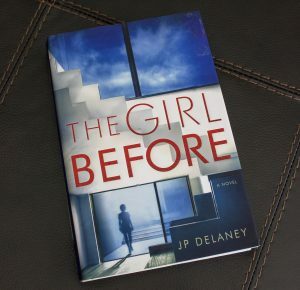 I read this one a few months back & it was really good, mysteries & suspense are my absolute favorites! Apparently it’s also being made into a movie. 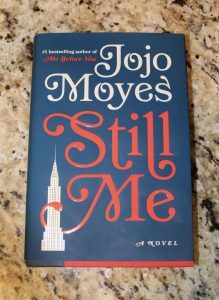 I just finished reading Still Me and it really sucked me in. It’s about a woman who temporarily moves to New York City from England for a fresh start and what sounds like an amazing new job opportunity. The only problem is her boyfriend is back in England and the two really struggle to make the long distance relationship work. She then finds herself getting mixed in with New York’s elite social circles and entering into a world she never knew existed. She eventually has to decide who she really is and what she wants out of life. It’s a good soul searching, romantic novel and it’s also extremely funny! 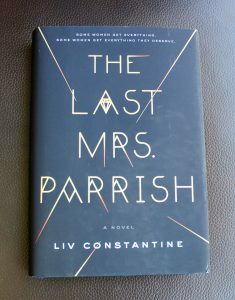 The Last Mrs. Parrish is a page-turner!!! It’s a suspenseful thriller told from two different women’s perspectives, one woman seems to have it all and the other woman wants to take it all from her. This book definitely keeps you guessing until the very end! I couldn’t put it down! If you aren’t following the Reesesbookclubxhellosunshine on Instagram, DO IT! There are so many good ones on there! OK this one is CREEPY! LOL There is just no other way to describe it. I loved it though, read the whole thing in less than 3 days because I just had to know what was going to happen. 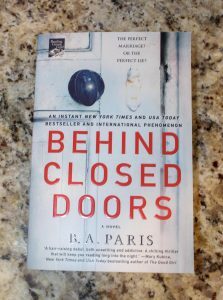 Behind Closed Doors is about a woman named Grace who seems to have a perfect house, a loving husband, and she seems to be an amazing homemaker but what lies behind the closed doors in her home is a completely different story! Seriously, be prepared to stay up super late reading this one! 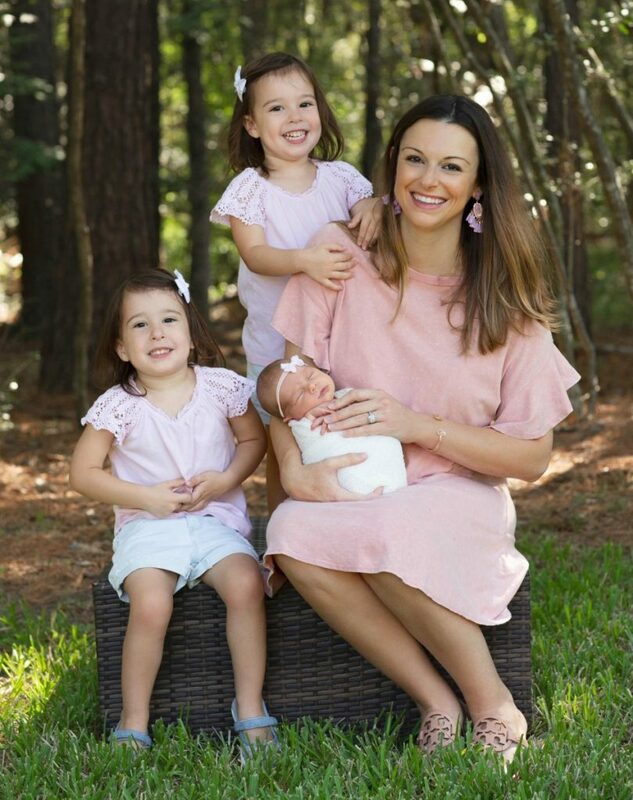 Since I have identical twin girls I obviously had to give The Identicals a shot and I’m really glad I did because I loved it! 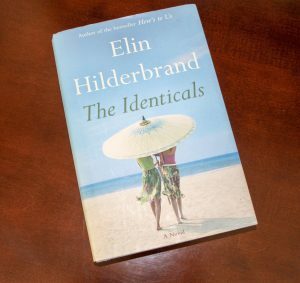 It’s about the very different lives of identical twins, Tabitha & Harper who live on separate islands only a few miles apart. The girls haven’t spoken to each other in over a decade until some unforeseen circumstances start unraveling within their family and the girls are forced to reunite to try to put all the pieces back together. It’s a great story about romance, love, family and of course sisterhood. If you haven’t read Big Little Lies yet I definitely recommend it! The book is much better than the TV series on HBO although I still cannot wait for season two of the show to come out next year! It’s about the lives of several women in an Australian town who all have a different life struggle to navigate through but all end up together at the same place… the scene of a murder. It’s definitely a must read! 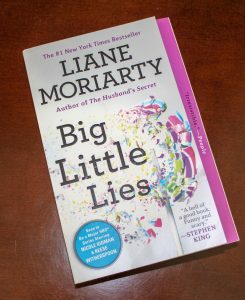 I also loved Truly, Madly, Guilty by this same author, Liane Moriarty.